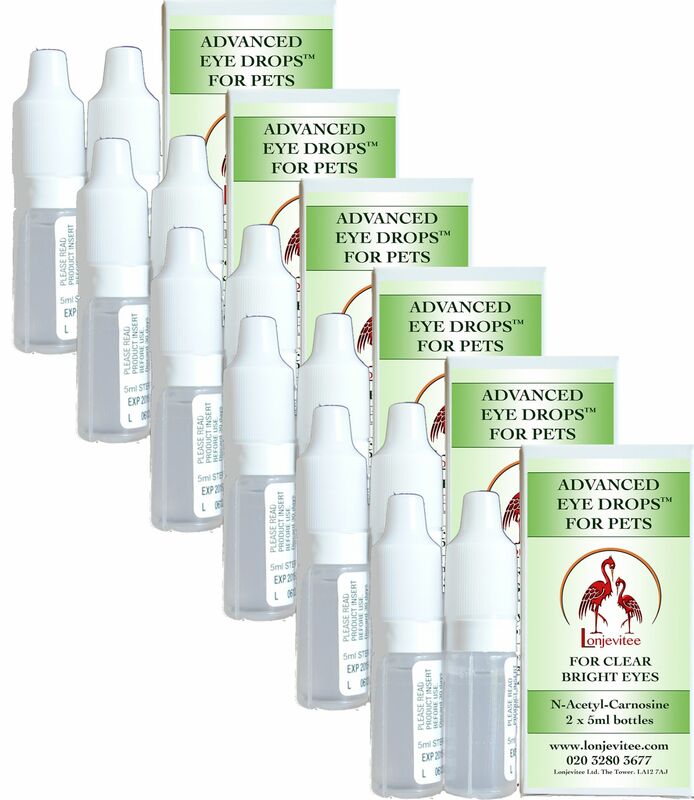 N-Acetyl Carnosine Eye Drops for Pets - GET A BOX FREE WHEN YOU BUY FIVE. SAVE £34 and get free delivery. Free delivery will need to be signed unless customer specifies otherwise. These eye drops contain the antioxidant Carnosine. They are used successfully by pet owners. To help the eye drops work more efficiently, and to assist in getting your pet back to full health and peak fitness, we strongly recommend Lonjevitee L-Carnosine for Pets, an anti-ageing supplement for as little as £31 for 30g. FOR ADDITIONAL INFORMATION ON OUR NAC EYE DROPS FOR PETS PLEASE CONTACT US.